Registered with Care Quality Commission for excellent and quality driven care. We specialise in delivering person centered care to working age adults with mental health issues, substance misuse problems and learning difficulties in their home environment. Our service also caters for adults over 65, dementia patients and the elderly. We are passionate about care. Our service was born to offer excellent care tailor made and delivered with passion and empathy. As more choose to receive care in their own environment, we offer a better alternative. Our strength is our staff and experience! We are with you every step of the way offering a range of services that responds to your needs. 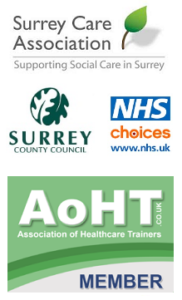 Based in Guildford Surrey, We are committed to the development of good quality of care at all times. A non discriminatory care agency that treats all our clients with dignity, empathy and respect. We have your best interest at heart! Areas We Cover. We cover Guildford, Surrey and its environs. Bellfields, Burpham, Merrow, Central Guildford. Onslow Village, Park barn, Stoughton, Wood Street Village. Worplesdon, Jacob’s Well, West Clandon. 10 miles drive radius of Guildford. EARLY TO MID STAGE DEMENTIA CARE A good quality of care provided with good flexibility at short notice. Mum likes the range of nice carers who come to see her. MY EXPERIENCE OF LUV TO CARE Mum enjoy her daily visits and seeing her girls. Her words not mine. The manager has been very accommodating at short notice and reinstated my mother care on her return from hospital. I am kept up to speed if any problems arise with my mother health. This give me comfort knowing my mother is being well cared for at home where she wants to be at home.I can go about my daily business without worrying with the knowledge that Luv to Care are doing a good job. LUV TO CARE LTD Had this company for my mum who had been diagnosed with dementia and was finding it difficult to cope. All the carers were first class and when the bad weather came, one went above and beyond the call of duty. Would highly recommend this company. We are on call 24 hours to our clients. Free Assessment! !